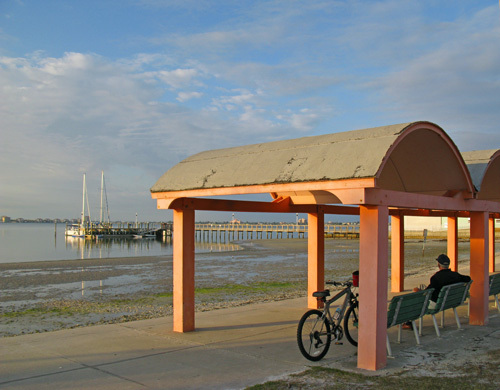 A breakfast ride in Gulfport FL is a great way to start the day. I love retirement living on the Florida beaches. Waking up, knowing I will be pedaling around this sleepy little Boca Ciega Bay community, makes me jump out of bed. 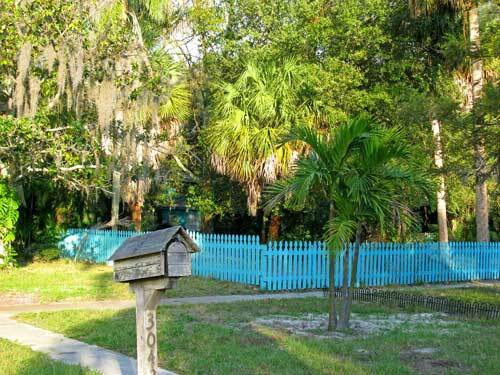 It is a picturesque, laid-back community, that personifies the unhurried pace of a great retirement life on the beach. Especially at sunrise. The air is cool and clean, and the only people out are retired couples walking, or runners/triathletes who want to put in some serious miles in a beautiful setting. I wanted to eat breakfast over here, so I made sure I invited a great lady along. We threw our bikes in the back of my Frontier, and drove five miles south. My trusty 1990 Trek 7000 bike has been here many times before. What we really enjoy is cruising around the different neighborhoods, and seeing all of the creative colors on homes, and the amazing originality of mailboxes. 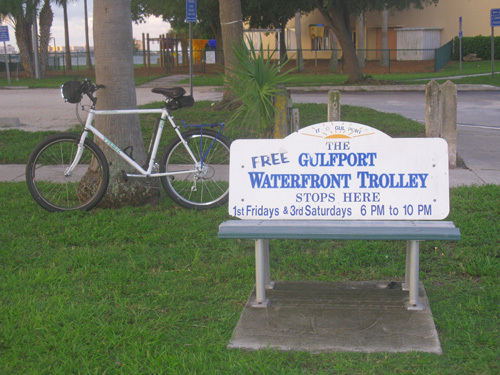 Gulfport FL is known as an artsy community, and the residents do all they can to ensure that title is not easily thrown about. Retirees come here, but conveniently forget to tell their friends about this little slice of beach life paradise. Gulfport is uncrowded and unhurried. It is also a big draw for photographers, especially November through March, when the cool temps allow professionals to take time with tripod and camera adjustments. The Florida beaches provide the perfect venue for a casual and relaxed lifestyle. 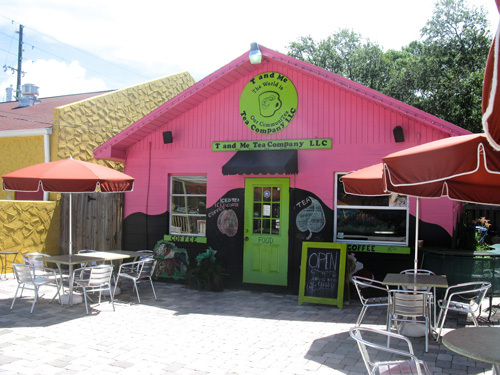 My breakfast ride in Gulfport FL only served to accentuate the mellow and undemanding style of living I love so much. I am so thankful my retirement life is enhanced with a successful online business that allows me the freedom to visit different places any day I choose, then profit, and receive legal tax write-offs, for doing something fun. How much better does it get than riding in a quaint little town like Gulfport, and making money doing it? One other guy was out, stretching on Williams Pier, which extends out into Boca Ciega Bay. 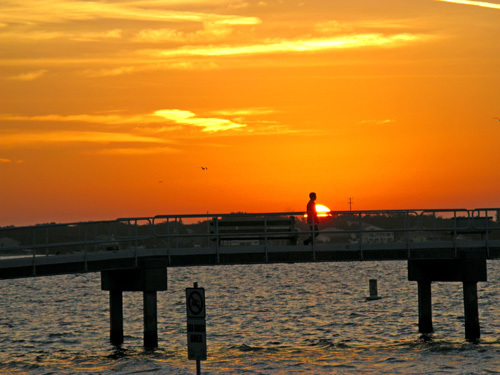 Sunrise is a favorite time for those of us who like to run, and Gulfport offers minimal traffic at this time. There was another retiree out there just enjoying the peaceful and unhurried life on the Florida beaches. We didn't want to interrupt his pleasant morning, but we enjoyed the view from behind him. 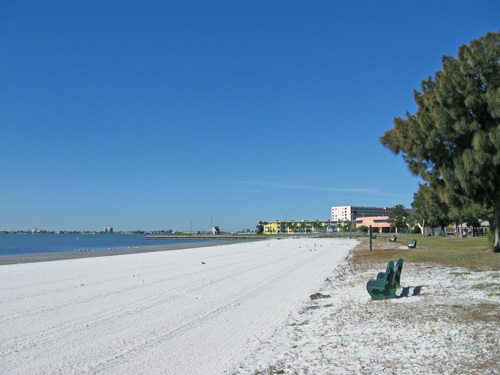 The park on Boca Ciega Bay (south end of Gulfport FL) is truly inviting. I am thankful I can walk (or run) in a pretty place like this on a daily basis. 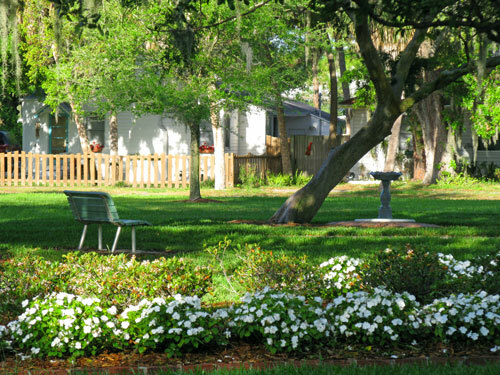 Sunrise on the beautiful Gulfport City Park at the north entrance to this quiet community. It is always well-maintained, and inspires you to get soak up every visual throughout the day. 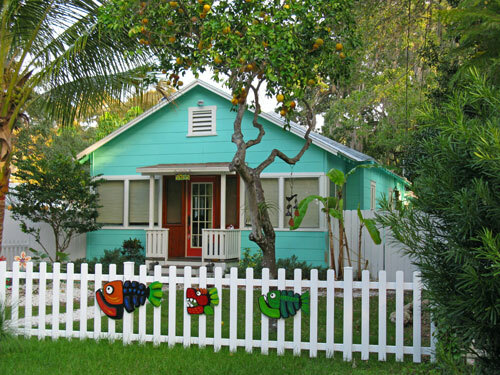 One of the colorful, and well-taken care of homes in the Gulfport FL neighborhoods. You will be amazed at some of these residences. You can bet Huck Finn didn't paint this fence. 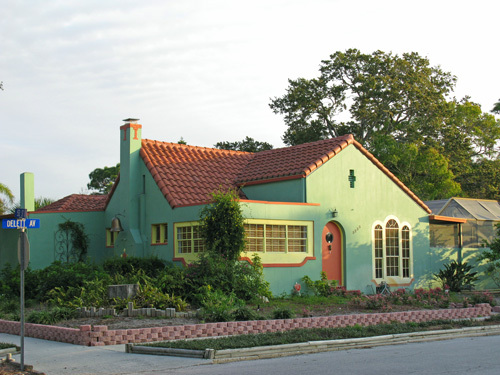 Artistic creativity is pretty much personified in the residences among the well-shaded neighborhoods. It gives a touch of contemporary attitude with an Old Florida feel. I am fortunate to live a retirement lifestyle where I can profit from passive income throughout the entire day. I have my own online home business where I make money from several (10+) websites. I am no different than you. As a matter of fact, you are probably a lot sharper. I started my career as a Physical Education teacher back in 1974. When I retired from Peoria Unified School District (AZ) in 2006, I knew what I wanted to do to afford the kind of lifestyle I dreamed about. My guess is, you can easily write as well as me. It was a blessing to discover SiteSell/Site Build It, and begin creating an Internet home business. Making money on the Internet is simple...but it is not easy. If it was effortless, everybody would be doing it, and we would all be pocketing $90K a year in our pajamas. Get the GRQ (Get Rich Quick) dreams out of your head. You will have to put in some time to flatten out the learning curve. I will provide you some good resources. These were not available when I first started. I spent $1000's of dollars on phony help. You will not have to do that. (1) Invest a couple of bucks and get this little Kindle book, How To Make Money Online. It will provide you with a great overview and it will give you facts...not smoke. Click Millionaires is also extremely instructive, but costs a few dollars more. From here, you can branch out in your learning.There are other great Kindle books that provide an incredible amount of great information for just a few dollars. You can learn a lot on your iPad. (2) Next, spend $30, and get Ron Mueller's Home Business Tax Savings eBook, so you can understand how to legally keep more of your own money. For years, you have been losing $3000 - $5000 dollars by over-paying your taxes...and NOBODY said anything. Now, it is time to keep your money in your wallet. I am able to take legitimate tax write-offs for my travel in my Frontier pick-up, AND the $500+ overhaul I just had done on my old Trek 7000 bike because they are both primary transportation in my desire to make a profit in my home business. My uncomplicated breakfast ride in Gulfport FL will help my bottom line in two very different ways, as you can see. (3) Start thinking about your different interests so that you can create multiple websites/blogs around them. If you have 10 sites...making just $50 dollars each per day...well, you can do the math for your profit at the end of the year. Pretty mind-boggling, isn't it? Even if those 10 sites were only making $25 bucks each, per day, you would be doing real well. I want you to take advantage of the creativity God blessed you with. His will is for all of us to experience happiness. I am thankful each day for the guidance He has provided me. I have no qualms about donating half my earnings.